Special, slow-moving tennis balls and a smaller court might be cheating if youre fully grown, but according to the United States Tennis Associations 10 and Under Program, the tennis hacks allow pint-sized players to learn the basic skills. And these guidelines are being put into practice at the tennis clinics sponsored by the City of Folly Beach. Beginning March 9, clinics will be held every Saturday for the rest of the month. Kids from ages 5 to 10 will receive an hour of instruction and start to develop basic skills. The 10 and Under Program uses specialized equipment for little ones. (Think of other sports; baseball is learned first as T-ball, right?) So these tennis balls bounce lower and slower, which makes them easier to hit. The racquets fit small hands, and even the scoring rules are changed, making matches shorter and victories sweeter. 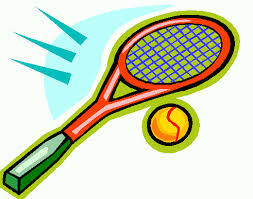 The clinic will be held at the Folly Tennis Court at 503 East Erie Street. Children ages 5 to 7 will play from 9:30 to 10:30 and ages 8 to 10 will play from 10:30 to 11:30. The clinic costs $30 and includes four hour-long sessions on March 9, 16, 23, and 30. Folly Resident Ralph Wright, who organized the tennis program several years ago, will be heading up this program as well. Wright worked for the Charleston County School District for 25 years as coach, PE teacher, and assistant principal at Fort Johnson Middle School. To register, call Wright at (843) 814-6716 or e-mail patricia9796@att.net. Unfortunately they didn't have these kind of things when i took up tennis. I had to teach myself, and wait until I was strong enough to hit it over the net.